The photograph above is my attempt to make something creative with a nautical theme. I wanted to design something that could be given to a child (boy or girl) for a present. I was asked to make some things that could be sold for a nautical charity. I already had some spare plain t-shirts, especially blue ones which were left over from my daughter's crafty birthday party. I thought I would try to use them up instead of them gathering dust. I hand drew an outline of a boat on A4 paper, then went over it with a marker. Once the marker had dried, I placed this inside the t-shirt so I could see the outline. (I always place some card between the front and back of the t-shirts so the fabric pen/paint doesn't go through to the other side) Then I traced over the outline onto the t-shirt using fabric pens. Then I coloured in the boat with fabric pens too. Once finished a simple iron over the picture and the t-shirt is finished. Very quick and simple. I am now looking for other ideas for things to make. Does anybody have any ideas? I am looking at ideas that won't cost very much and won't take up much time. As I said I am not profiting from this, so looking for something with a quick turnaround and not costly. One option would be the 10 Minute Headband that might be a good seller for the girls. However it would be nice to have a choice for the boys! Maybe you could get some very cheap tote bags (do they sell them at the pound stores?) and stick some cute fish or, my personal favourites, octopuses and jellyfish on them? I love your little boat, mad skills! Another idea, and I really don't know where this one came from, but how about little drawstring bags to store sunglasses and the like in? 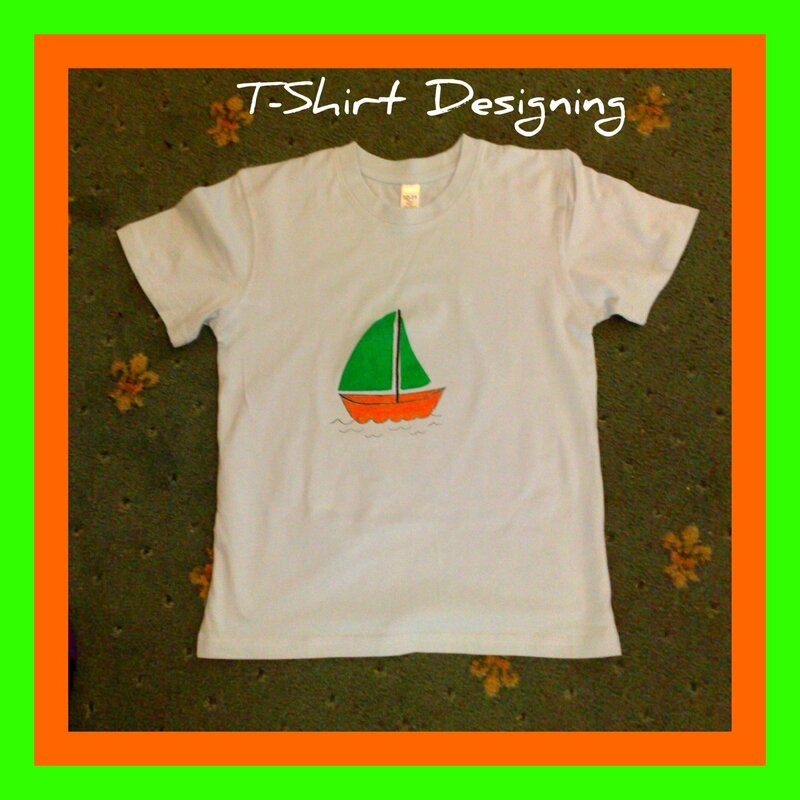 Every aspiring sailor should have one!